Mr. Collins, Some of the best-managed companies in the United States recently made some of the worst decisions in business history. What went wrong? 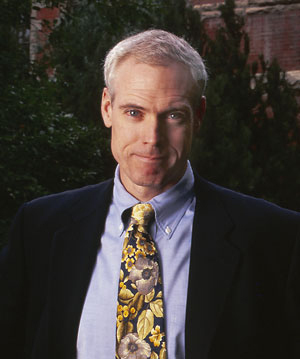 Jim Collins: I don’t know. If I had the answer to that, I’d be a lot smarter than anyone else. I don’t think anybody knows the answer to that question. But how will the current crisis change the way you’re going to think about business? Collins: I don’t know. The specifics of this particular crisis are so early, and so rapidly unfolding, that to say how it will change the way people think or behave, would be like asking somebody to predict in August 1914, what impact that was going to have on the geopolitical world. You’re one of the eminent thinkers of leadership in business. The current crisis is often described as a failure of leadership. True? Collins: If an entire economy is in trouble, then everybody is facing a very similar set of circumstances, and a similar amount of turbulent events. It would be hard to imagine that across the board, every single leader failed. There is something very large, and very systemic here, that is taking place. We truly don’t understand it. That’s a bit disappointing. You study management, and you came up with certain theories. You must be able to adopt them to current events. Collins: I’m a historian. I look at long sweeps of history, in a very controlled, analytic way, comparing matched pairs of enterprises that were facing similar circumstances. What I don’t have any perception of, is our current events. But everybody wants to know what’s happening now – and what will happen tomorrow. Collins: When I was 18 years old, my Philosophy professor called me into his office, and he sat me down. He said, “Mr. Collins, a word to the wise. One ought not to speak about what one does not know.” And I’ve always adhered to that. I don’t speak of what I don’t know. There are lots of people who are willing to give you an opinion. I’m not one of them. These are turbulent times. At the same time the United States and the world has a new leader in Barack Obama. Does he bring the qualities to the tables that are necessary to get over the crisis? Collins: You’re asking me something I can’t possibly know. Why not? You study leaders. One can look at Obama’s speeches, his decisions, and his plan, how he handled his campaign. Collins: I’m a historian, and I don’t look at current events. It’s very, very hard to judge a sitting leader. You couldn’t possibly judge a leader after three weeks. You can judge a leader after maybe four years, but most likely eight years. I hope that we have great leadership. We need great leadership. Everybody in the United States, and everyone in the world, is certainly rooting for his success. Collins: They are people who are not in it for themselves. They’re in it to build a great company. They’re in it to create something that is larger than them. They are in it to have a real impact on the world. And they are utterly relentless in making the most painful decisions required in order to make good on that ambition. The signature that jumped out in our research is humility. The thing that is quite striking about these people is how many of the greatest ones are people you’ve never heard of. They’re not celebrities. They’re not necessarily the most charismatic group. Our society celebrates the charismatic CEOs. How do you explain the contradiction? Collins: They’re more interesting to write about. They’re more fun to listen to. They draw more attention to themselves. There’s certainly a cultural interest in interesting people. All of us are interested in interesting people. But people confuse the idea of charisma with leadership. But there are charismatic leaders who are also great leaders, and who are also highly successful. Collins: Yes, that’s true. You do not need charisma to be a great leader of a great company. But most of the great leaders of great companies we’ve studied didn’t have charisma. Most CEOs aim to be on the cover of Fortune and Business Week. What makes somebody understand that selfless ambition leads to success? This kind of humbleness seems to be an exception. Collins: No, it’s actually what they all had. If you want to define what a great corporate leader is I can think of no better definition of one than one that took an average company and made it great. If you took an already good company – well, you don’t really know if you had much to do with it. It was already great. If you took an average company and it never became great, then you weren’t a great leader. The ones who took something mediocre, and then made it great those have to be some of the greatest leaders in all of business history. And they all had this signature. I’m not saying that every single successful CEO has this humility defined as an ambition bigger than them. I would simply say that the ones that made good companies go from great all had it. They most have profited doing it. What is the relationship between compensation and performance? Collins: None. It’s a scatter plot. Bonuses don’t lead to higher performance. They just lead to higher-paid executives. Companies always argue they need bonuses to keep talent. What does money mean in business? Collins: There’s basically no relationship between how much executives are paid, how they’re paid, and how they perform. The hypothesis is that those who produced the better shareholder results, produced the good-to-great companies, had incentive systems that were different, and that paid them more than the comparison companies. And that if you paid them more, you get better performance. We found this simply not to be true. There was no evidence that there was a relationship between executive compensation and performance. You’re saying compensation is not key for success. Collins: The critical question is not what you pay. The critical question is, do you have the right leader? The right leader, and the right people, will do everything in their power to produce the best results, and to build a great company. Simply because they’re incapable of doing otherwise. But isn’t this a bit of a naïve view? There is so much greed at the top of big companies. Collins: If you sat down with Sam Walton when he was building Wal-Mart, and said, “You know, Sam, you could get paid more if you did this, and change your behavior.” The guy worked his brains out. He was curious, and he was passionate. He had $8 billion, and he had bone cancer. And he’s driving around seeing stores. And one of the people who he was riding around with said, “Sam, when are you going to stop doing this, enjoy life? You’re a multi-billionaire. You’re not going to live that much longer. When are you going to stop and enjoy life?” And Walton’s response was, “But for me, this is life.” He loved what he did. He was passionate about what he did. He was committed to making it the best it could be, and to go beyond him. It’s that absolute desperate creative need to do something outstanding that drives them. Not money. Professor Robert S. Kaplan of Harvard Business School says greed is good. Meaning a greedy business leader who gets compensated based on his success actually brings a company further. Collins: The greatest creative work – and building a great company is a creative act – is a compulsion. It is a productive neurosis. It is an obsessed need to build something exceptional. So most successful people have a mental problem? Collins: If you sat down with Beethoven and you said, “Why do you need to make this Fifth Symphony go in our ears and reshape our brains, and lead us through the depth of darkness and through despair, and then eventually light on the other side? Why? Look, you’re going to get the same number of Kreutzer’s whether this is a great symphony or not. Why don’t you just kind of back off, Ludwig? You’re still going to get paid.” He wouldn’t understand. Because the point is to write the best Fifth Symphony that he is capable of, that will endure and last and impact ears and souls and hearts and minds and spirit. If you ask the greatest executives, and say, “Why are you trying to make this a great company?” And their company, their Fifth Symphony, their Seventh Symphony, their Ninth Symphony, is – their creative work. Their symphony is what they’re creating as a leader. And it’s no different than a Beethoven. Beethoven’s success can’t really be measured. It’s art. But a business leader’s success is being measured by nothing else than dollars and cents. Collins: I disagree. Southwest Airlines had a remarkable leader over the long course of its history named Herb Kelleher. Southwest Airlines is the number one best-performing stock of all publicly traded stocks over the 30-year period, 1972 to 2002. But if you listen to how Herb Kelleher he doesn’t talk about his stock price. And he doesn’t talk about the money that he made. He sits there and he has a creation, and that creation is this culture. He talks about how all the Southwest people came together after years of working on this culture. When 9/11 came they didn’t cancel a single flight. And all of the Southwest people, who were so dedicated to keeping things alive, and not letting the terrorists win – and, “We’re going to get the airplanes in the air.” And they went, and you see the flight take off. “We’re not canceling our flights.” And Herb Kelleher’s telling that story, and he’s crying. Now, you cannot tell me that his report card is his stock price. His report card is, look at these people. Look at this culture. Look at what we did. Look at our defiance. We will not be defeated. That’s a creation. That is not a number. When is a leader overrated? Collins: If a company only did well when they were there, and then they left and the company ceased to do well then they didn’t fulfill the standard of building a company that can outlast them. Some of the companies you praise experienced this. Crippled companies like Fannie Mae, Citigroup and the now defunct Circuit City have great leaders, according to your book. Were you wrong in your research? Collins: Let me ask you a question. We study who is healthy and who is not during a set period of time. We find that those who became healthier, had better sleep habits, had better diet, and exercised. Later, some of those same subjects stopped eating well, stopped exercising, and stopped getting a good night’s sleep. And they became unhealthy. Would you say that the principles of health – meaning diet, sleep, and exercise – are negated by the fact that some previously healthy people had stopped having healthy habits? Collins: Obviously not. So there’s your answer to the question. Of course the research isn’t wrong. We’re like studying great sports teams that were great at a given moment in time. Our work has never focused on trying to predict who’s going to be great. Nor does it say who’s going to be great after their 15-year run. We only look at that sort of 15-year run of performance. In the last decade, we’ve seen the dot-com bubble burst. We’ve seen the crooks of Enron and WorldCom. And now we’ve seen the financial crisis. Why do we lack great leadership in business? Collins: If you look over the course of business history, you find that there have been other times of excess. The 1920s, for example, were a time of excess. We had the 1907 financial crisis. There were the challenges in the late-1800s, with the rise of the robber barons, and kind of the great, almost rapacious entrepreneurs from that time. There’s always been an element of this in the capitalist system, in the business systems. But the forms change. Sometimes it’s sub-prime. Sometimes it’s dot-com. Sometimes it’s leveraged buyout takeovers. Sometimes it’s stock market craziness. It’s never going to go away. It’s an unfortunate part, but it is part of our capitalist system. You’re saying this is just common practice? Collins: I think that the cycles are accelerated. In fairly rapid succession you had the kind of merger, leveraged buyout, takeover wave of the ‘80s, followed right into the dot-com boom of the ‘90s, followed by the banking sub-prime financial of the 2000s. That’s starting to be fairly rapid cycle. One thing that could be happening is that we’re starting to see an acceleration of these things. The dot-com was a huge bubble. But who would have thought that we would be seeing the kinds of things that we’re seeing now? They’re very scary things for us to be seeing. Again, I don’t think we understand them. It’s quite severe booms and bubbles and troughs are big and fast. We may see even bigger ones and faster ones in the future. Collins: The time from 1950 to 2000 really was a period of tremendous prosperity and stability. The presence of two giant superpowers created a dangerous world, but it was a relatively stable world. This created a pretty long run of prosperity. And so you had stability, and you had prosperity combined, for a long period of time. My own view is that that’s unlikely to happen again in my lifetime. Most CEOs are not used to that. They’ve all acted in flourishing times. Can they handle what’s hit them? Collins: We are unpracticed how to prosper in tremendous turbulence. The very best leaders cannot predict what is going to happen. We are in an era of such instability, and of such uncertainty, and likely to remain that way, that the idea of kind of predicting and planning into your predictions is simply, I think, largely gone from the world. That is not very helpful advice from a person that writes advice books. Collins: What has to come in its place is the ability to prepare for what you cannot possibly predict. And that’s a very, very different way of looking at things. You have to prepare for what you cannot possibly predict. Collins: You want to see leaders who are very stoic. Part of the task of leadership in this kind of a world is truly paranoid, and freakishly conservative, in protecting basic things and giving itself big shock absorbers. I mean we’re going to have to see leaders who are much more financially conservative. That gives them massive extra cash on their balance sheets. Which is a pretty irrational business practice. Collins: It’s irrational most of the time. But it’s supremely irrational when the really brutal uncertain times come. Which is an extension of one of your other key findings, when you say that an essential point is to confront the brutal facts. Collins: As the world goes more turbulent – it’s not just confronting the brutal facts. It is imagining all the terrible brutal facts haven’t yet happened, and to be worried about them. In Good to Great it was “confront the brutal facts”. In Good to Great plus Turbulence, it’s confronting the brutal facts, and imaging and worry obsessively about all the brutal facts that haven’t yet happened but could. And that notion of being a paranoid neurotic freak is going to be part of the leadership requirements for turbulent times. The paranoid freak brings us to Apple CEO Steve Jobs. He’s considered one of the best leaders ever. People say that his big ideas matter most. While you say big ideas are nice, but not necessarily critical for becoming great. Does Steve Jobs undermine your theory? Collins: Any given idea can be fairly quickly copied. Your creative culture is more important than any given idea. If you’ve had to figure out how to be successful because of the supreme execution of what you’ve done, then you don’t necessarily have to be first, or have the biggest idea. Take the iPod. The beauty of the iPod is its supreme execution. Sony also was working on digital music players. The idea of being able to carry a lot of music around with you and listen to it had been around for years. What distinguishes it is the supreme execution of it. And what does Jobs have that others don’t? Collins: Steve Jobs is an industrial Beethoven. I think that the Macintosh is like the Third Symphony. And the iPod is like the Fifth Symphony. And maybe the iPhone is the Seventh Symphony. I admire his dedication to creating great things, tremendously. He’s one of the people I really admire. So Jobs might be admired for the wrong things. He mostly took existing ideas, put them together and turned them into great things. Collins: They’re no great things without the supreme execution around them. A lot of other people have the same ideas. A lot of people could have had the idea of “Bum bum bum baba baba bum [humming Beethoven’s Fifth].” But not everybody could have written the Fifth Symphony. You’re saying it’s more important who is doing something than what is being done? Collins: You can’t predict what the world is going to throw at you. Then your best strategy is to have really great people who can deal with whatever the world throws at you. The best leaders we’ve studied truly thought about getting the right people first. Your direction may have to change. If you’ve got the right people, you can more easily change direction. What does it mean for turbulent times? Collins: I’ve been a climber, a rock climber most of my life. And as a rock climber you never know what the cliff is going to throw at you. In the big mountains, you don’t know what you might get in terms of weather or ice or conditions. So your most important decision is who your climbing partner is. Because when the mountain turns against you, you want to have a partner with you who you can find a way out of it. In turbulent world, it’s even more important that you think first about who. You cannot possibly predict the what. Talent is very important. But talent is also very expensive. Nobody seems to be willing to pay for talent. Collins: Turbulent times are your friend. This is the time where you’ll be able to attract talent that is freed up. The greatest opportunity right now is all those great people who are going to be looking for something to do. And if you don’t seize that opportunity, you’re crazy. And another principle you talk about is the so-called hedgehog concept. Meaning, you have to find the one thing that you’re really good at, and then concentrate on it. U.S. companies are under enormous pressure to have strong quarterly results. It’s hardly possible to develop a lasting policy, as you suggest. Collins: It is possible to do. People have done it. That doesn’t mean it’s easy. And so one of the things that we learned about the leaders we studied is that they do two things. Number one, they don’t let the short term pressures of Wall Street drive them into irrational decisions. Part of being a great leader is to say, “I’m not going to do that.” That’s the will. But how do they also then preserve their ability to lead, with those pressures? Collins: While not being pressured by Wall Street they put even tougher pressure on themselves and their companies to deliver results that buy them freedom. The whole key is that they are always building for many years down the road. But they’re also expecting of themselves to deliver short-term results. Can great leaders have a healthy balance of work and life? Collins: I have good news, and I have bad news. The bad news is that about half of the Good to Great leaders didn’t really seem to have any other life but building the great company. I think they defined a great life as building a great company. The good news is it was only half. Who is able to achieve this balance? Collins: Look at someone like Coleman Mockler who was the chief executive of Gillette during the bad old takeover days. He would spend time always with his family and his children on the weekends. He would not allow even the takeover battles to intrude upon his family time, his worship time and on his house projects, repairing the gutters of his house. And yet, he was one of the greatest chief executives we ever studied. What does a leader need to do if he wants a live? Collins: It’s a choice. Some leaders choose to have a life defined not entirely by work. And some choose to define their life entirely by work. Work is infinite, and time is finite. The sheer amount of things that we potentially could and have to do totally dwarfs the number of hours we have. Working more hours will never get you there. The real choice is how you use those hours. You have to manage your time, not your work. You choose not to teach at a university, but to build your own research lab. Why? Collins: I used to teach entrepreneurship and small business at Stanford Business School. I used to always say to my students, “You know, you don’t have to go to work for a big, established company, to be in business. You could go start your own.” One day my students started saying to me, “Wait a minute. You’re telling us we should go do something more entrepreneurial. Why don’t you follow your own advice?” I realized that just as you don’t have to be at IBM to be in business, you don’t have to be at a university to be a professor. So I decided to take an independent path, trying to follow some of my own advice I gave to my students. The second reason is that the nature of the kinds of research that I like to do, six to eight years a project. That tends not to fit in the normal academic enterprise. Why do you study management? Collins: Sheer, unadulterated curiosity is the fundamental driver that I have. I’m really interested in what makes great human systems. It so happened that I started studying businesses. But to me, they’re the data set to try to understand something fundamental. It’s a very easy link between Beethoven and Steve Jobs. I don’t think in terms of business. I think in terms of great creations. And the creations that I’ve tended to study are people who’ve built great cultures and great companies. We live in social systems. We live in organizations. I just got really curious about, what separates those who create the great ones, from the ones who don’t? You said you had hoped that church pastors and coaches were going to read your book. What’s the relationship between something so rational as a business and something rather irrational, as a religious belief? Collins: It’s not just church pastors. It would be anybody in the social sectors. Half of our readership comes from outside business. The military, arts organizations, education, health care, church pastors. A culture of discipline of a great organization – that’s not a business idea, right? A great symphony orchestra is a culture of discipline. And a great military unit is a culture of discipline. And a great artistic creator brings discipline to his or her work. A great school, that educates kids and where all of them read by the time they should – that’s also a culture of discipline. Building a culture of discipline around a lot of these ideas could help people in all those walks of life. To me, it’s really exciting when a police chief can say, you know, “We’ve been building a culture that reduces crime in our city.” Or a principle talks about, “We’ve been building a culture where more kids read.” Or somebody talks about, “We’ve been building a culture that is systematically helping to reduce the level of cancer recurrence,” right? And you talk to somebody else, and they talk about – you know, that, “We’re creating a culture that plays such beautiful music,” or “We’re creating a culture where we win. These kids go out, and they win championships.” And to me, that’s human. That’s life. That’s exciting. Business is a subset of human endeavor. It’s a subset of the quest to try to build and to do something really exceptional. His responses are staggeringly evasive with regard to the current economic situation. His comment that he studies only pairs of companies speaks to a fundamental lack of understanding about how comparative research is done. I don’t know whether his guru status is one he has placed on himself or one with which you have anointed him, but it seems sadly misplaced. Really interesting interview, well done. I’m most intrigued by the fact that ‘Good to Great’ has to live with a list of companies knighted as great that then, many of them, fell flat. The analogy on diet and exercise doesn’t work that well. Companies are organisms, and great ones, by definition, should have staying power. On the other hand, I really like the thoughtful responses, to that and other questions. Not predicting the future doesn’t seem evasive to me, just honest. Fantastic interview. It takes quite a bit of humility to refrain from answering a question when you have as much fame as Jim Collins.